Seventeen-year-old Pancho is bent on avenging the senseless death of his sister, but after he meets D.Q, who is dying of cancer, and Marisol, one of D.Q. 's caregivers, both boys find their lives changed by their interactions. Why should you become a Death Warrior? So you can live and die with truth and courage, and because life is too painful when you're wasteful with the time given to you. This is the fifth principal in what is to become the Death Warrior Manifesto. The Manifesto teaches you how to live life with arms wide open, grasping everything, missing nothing. But Pancho doesn't really care about that. His manifesto hinges on finding the guy that killed his sister and making sure he makes the guy pay. In the meantime, the anger inside makes him want to hit things. So he searches for trouble. He is, in many ways, Daniel Quentin's, DQ's, opposite. He wants to live his life underneath the radar. He figures he'll off the guy and then go to jail. Beyond that, nothing matters. He's assigned to help DQ and goes to Albuquerque with him as DQ undergoes treatment for brain cancer. Pancho knows he can find his sister's killer there so he's happy to go. "He didn't have anything personal against his sister's killer. Unless you consider hatred personal." While in Albuquerque Pancho starts helping out at the center where he meets Marisol and Josie. He also gets thrown in the middle of DQ and Helen, DQ's mom. But, nothing changes his mind. He has a job to do. One of my favorite reads so far this year! It can be used both in the classroom and as a book club pick because there are many things to discuss - The Death Warrior as a metaphor, paradox, simile, having students write their own manifestos, boxing as an allegory, faith, meaning of love... so much! I actually liked this one more than Marcelo in the Real World. It's a quiet book that grabs you in the heart. Loved it. 4 copies. Ah, I love Sundays in the Summer. Somehow, knowing I don't have work tomorrow, actually seems to make them more relaxing. I'm not worried about making sure everything on my to-do list is done. Although, that's not always a good thing! I'm going to update my progress in the Book-A-Day Invitation put out by Donalyn Miller. I'm calling mine NO Summer Slide challenge. The goal is to average a book a day for your summer vacation. Mine started June 5th and ends August 11th. So I need to average 67 by that time. I also need to announce the winner of The One That I Want by Allison Winn Scotch. One Crazy Summer by Rita Williams-Garcia (N) - three girls go to visit the mother they've never known. The relationship they start to forge is hard-fought and full of miss-steps but they feel the summer closes too soon. Countdown by Deborah Wiles (N) - growing up during the Cuban Missile crisis was a tense time. That strain was multiplied for military families. Franny tries to cope with a disappearing sister, a traitorous best friend, and an uncle who seems to be losing his grip on reality. Out of My Mind by Sharon Draper (N) - Melody has cerebral palsy but she's still a normal girl. She wants to make friends, look nice, and possibly, join the quiz bowl team. She gets a computer that might help her do these things but what do the students really think of her? Ghost of Crutchfield Hall by Mary Downing Hahn (E)- orphan finds out she has family, goes to live with them and is taunted by a ghost who wishes to return to the living and is "willing" to trade places. Paper Daughter by Jeanette Ingold (N) - father is killed in a hit and run accident and as they are going through his papers, finds out he's not who they thought he was. Kind of a middle grade version of Shanghai Girls by Lisa See. Alvin Ho by Lenore Look - Alvin is afraid of everything - including girls. Especially the one who wants to help him. Benjamin Pratt and the Keepers of the School by Andrew Clements - the janitor gives Ben a lecture and a coin, then he dies. Now, Ben must decide how to keep the school from being changed into an amusement park. The Incorrigible Children of Ashton Place and the Mysterious Howling (N) - we're introduced to Alexandra, Beowulf, and Cassiopeia, three children Lord Frederick found in the woods when he was out hunting. Penelope, from the Swanburn School for Pretty Bright Females, is brought in to tame them. The Horse and His Boy by CS Lewis (audio) - The adventures of Shasta and Bree as they escape from cruel masters and try to make their way to Narnia so they can be free. The Dreamer by Pam Munoz Ryan (N)- a fictionalized account of Pablo Neruda's childhood based on journals and other writings. The Prince of Mist by Carlos Ruiz Zafon (P)- a family moves to the coast into a house where terrible things happened. Max meets this kid Roland and they pretty much become instant friends. Then strange stuff happens which they talk over with Roland's grandfather, who doesn't actually tell them everything but they figure the bad stuff is far from over. Very Far Away From Anywhere Else by Ursula K LeGuin - great story about a boy and a girl, both smart and ambitious but not very social trying to figure out how to "be". Green Witch by Alice Hoffman (P) - follow up to Green Angel. Green is starting to recover from losing her entire family last year. She wants to help the village by writing down everyone's stories to help them deal with their losses and build a sense of community. Genesis by Bernard Beckett (E) - an apocalyptic tale. Gives a history of man after the great devastion that left us on an island trying to re-build. We focus on one character, through the eyes of someone else, who tries to make his own decision. Riveting and thought-provoking. Dreamland by Sarah Dessen (E) - Caitlyn tells of the summer her sister ran away and how it affected her life. She quickly finds someone to replace her sister but the consequences are disastrous. Great voice, so steady and matter-of-fact. Well-suited to the story. Although Dessen's first, I find it one of her best! Birthmarked by Caragh O'Brien - 16 year-old Gaia (rhymes with Maya) Stone, midwife apprentice, just delivered, and advanced, her first baby! She goes home to celebrate only to find her parent's have been arrested. The Protectorate believes they are hiding information The Enclave could use to stop the deaths happening in the advanced Society. Harry Potter and The Prisoner of Azkaban by JK Rowling - rereading for movie this fall. The One That I Want by Allison Winn Scotch - Ever wish you could see what's going to happen in the future? Tilly gets that chance but it's not as fun as you would think! She can't change anything but her life is on a collision course with destruction. What can she do? 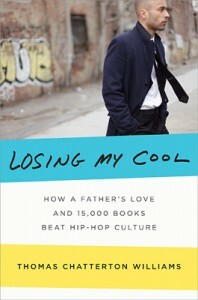 Losing My Cool by Thomas Chatterton Williams - William's relates how he was seduced by the culture of Hip-Hop and reduced to being less than he was raised to become. Then, joining the culture of the world by rediscovering his father's library of excellent literature. His journey is contemplative and eye-opening. Congratulations! I hope you enjoy it as much as I did! We continue learning about Brightlady Shallan Davar as she tries to covince Brightness Jasnah Kholin to take her on as a ward. Jasnah tells Shallan that her history and philosophy knowledge is deficient and she will take her on if she studies. Shallan knows that will take FOREVER so she needs to find a way to get Jasnah to change her mind. Meanwhile, Kaladin is trying to decide if he wants to continue living as a slave or kill himself. We look back at Kaladin as a youngster as he trains with his surgeon father all the while wishing he could be training to become a soldier. Now that Kaladin is a soldier, he wonders if he made the right choice. We are also introduced to The King Elhokar Kholin, his uncle Brightprince Dalinar Kholin and some other Brightprinces: Adolin, Renarin, Sadeas and Vamas. They are going on a hunt for the great chasmfiend. These chasmfiends have gemhearts that allow them to support their armies while trying to fulfill the Vengeance Pact and take out Parshendi, the ones who ordered King Gavilar Kholin's murder. Sanderson continues to flesh out Roshar so we have some new people, places and other stuff to add to our knowledge. Alethkar - missed noting this last week! People - more nationalities - Roshar is HUGE! Alethi War Codes - in the old days was followed by the Radiants. Gavilar Kholin re-discovered them and found they were actually about bringing peace. He was the only one who followed them. Now Dalinar, Gavilar's brother, follows them and teaches them to his sons. Ryshadium - special horses that can bear the weight of Shardbringers and can communicate with them. Dalinar Kholin - Brightprince who was preoccupied the night his brother, Gavilar, was killed. Now determined to take care of his nephew, Elhokar. He's a Shardbearer who's blade is Oathbringer. Kaladin - Lirin's son, 27, was a soldier known as Stormblessed Kaladin, now a slave working in Brightprince Sadeas' troops as a bridge leader. Sanderson has created a fantastic world that becomes more visible as I continue reading. The characters are starting to become people as we learn bits and pieces of their lives both now and in the past. It's like I'm assembling a puzzle and I almost have all the edges filled in. The picture is emerging and I'm getting pulled into the story. It's becoming increasingly hard to take notes as I just don't want to step out of the book for a moment! This is more a "reaction" than a review. Losing My Cool caught me off guard without means to separate my childhood from Williams' in the sense of the choices I've made, and continue to make, on what it means for me to be "black". 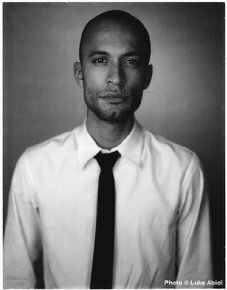 In Losing My Cool, Thomas Chatterton Williams describes his desire to become more like the brothers he saw on BET and heard on the radio. He wanted to embrace that black culture and subsequently enrolled in a mostly black private high school where he could "keep it real" through the way he dressed "Corgi all the way", loved "running game" and lived "just as hard". All the while he studied and played chess with his father after school and on weekends. Williams felt the lessons he learned from his dad were things he did but didn't define who he was. Or who he thought he wanted to be. Williams was a thug complete with Pants on The Ground, the requisite "ho" and homies. He partied - there's a scene he describes of a prom night where he and two other guys swapped girls just because. But he still made it into Georgetown. At Georgetown, he spent more time partying at nearby Howard University because studious brothers were at the "bottom of the pyramid." Throughout that first year Williams started forming tentative friendships with his dorm mates. He decided not to "self-segregate". Instead he started to re-examine some of the choices he'd made and wondered how he'd let BET govern his actions and define his sense of self. That summer between freshman and sophomore years, Williams opened his eyes. He noticed the people he'd aligned himself with and decided he wasn't that person anymore. He read and he connected with his parents and he learned more about his past and his future. He went back to Georgetown but it's as if he's received a mulligan. "Men would prefer anything rather than be free" - This is where Williams really started to get back on track. He studied Dostoyevsky and compared his work to his own past and decided to take the road less traveled. When Williams walks us through his father's house of books and I can only feel bereft. Why didn't I know these books? Why have I shied away from them? This book left me contemplative. I decided I needed to define who I am. I've spent many years trying to be invisible. I didn't want my color to be a hindrance. But, by doing so, I've limited myself. This was the legacy I received but it won't be the one I pass on. I thank TLC Blog Tours and Thomas Chatterton Williams for leading me in the right direction. Now, I've got some reading to do. Thomas Chatterton Williams holds a B.A. in philosophy from Georgetown University and a master’s degree from the Cultural Reporting and Criticism program at New York University. While a student at NYU, his op-ed piece, “Yes, Blame Hip-Hop,” struck a deep nerve when it ran in the Washington Post, generating a record-breaking number of comments. He writes for the literary magazine n+1 and currently lives in Brooklyn. We start out with a couple of the Kings, Jezreil and Kalan, who are deciding they aren't going to continue something called "The Oathpack". They have just finished fighting and they are supposed to go and be re-born but they don't want to so they dont. Next we me Szeth as he stalks his way to kill the Shardbearer King Gavilar Kholin. As he ends the king, Szeth is left to fulfill the man's dying wish to tell his brother he "must find the most important words a man can say". Since Szeth's people think last words are sacred -he has to do what Gavilar wants. So he wrote it on the wall in the King's blood. Yeah. Next we are introduced to Kaladin Stormblessed. He's in the military and his goal is to stop fighting in these outposts and move to the forefront of the war - The Shattered Plains. Things go awfully wrong for Kaladin and he ends up a branded slave. But wait, he's actually sold back to the army but on the Shattered Plains. Except, he's on Bridge Crew Four and Gaz, his leader, has it in for him. Bridge Crews are first in the line of fire although they are unarmed and usually sacrificed. So, not looking so good for Kaladin. We also meet Brightness Shallan Davar. Shallan's father died and they found out he was not only involved in illegal shenanigans but he owed everybody and hadn't left any money to pay them! So, Shallan has to figure out a way to make Brightlady Princess Jasnah Kholin (hmm, that last name is familiar) take her on as a ward. If she can make this happen, she can do one last illegal thing and save the Davar house and name. All before people realize her father died! We are introduced to a busload of people, places, flora and fauna and even religion in these first pages. The grass and other plants can retract into the ground! It was a little overwhelming but I teased out some stuff for you. This is subject to change as I read more! Wow, so far I'm loving this and it's hard to stop reading. Brandon Sanderson has done an extensive amount of world building and I'm just getting the feel for things. This is the first book in a series and only 1/10th of the book. I can't imagine the planning that has gone into this and can't wait to continue. See you next week for Chapter 7 - Chapter 14. I hope next week won't be so extensive but we'll see! Is there a different way to do this? Let me know what you think! Countdown is the first book in a planned trilogy of the sixties. Interspersed throughout the text are newspaper articles, cartoons, song lyrics, biographies, and photos. These artifacts give us an additional layer of story and depth. They are not necessary to the reading of the story but are certainly welcome. Fifth-grader Franny is on the outs with her best friend, Margie. Her Uncle Otto is starting to lose his mind. Jo Ellen, her older sister, is disappearing longer and longer each day. Franny's life is falling apart and she's not sure why. The constant air raids and news of the missle crisis has everyone on edge. There is one bright spot though, Chris Cavas has moved back to the neighborhood and although she's having a tough time with Margie, maybe Chris can be her new friend. Franny's is a military family. Her dad is a pilot and her uncle is retired from the military. They live in a neighborhood with other military families. It is their life. When President Kennedy comes on the news talking about the Russians stockpiling weapons, it changes things in many ways for these families. Everyone is on high alert. The stress proves to be too much for Uncle Otto and the family is afraid of what he will do next or what will happen to him. Countdown has a pervasive air of fear and anticipation, mimicing the country's mood during the sixties. It's about friendship and family and how we define those things. We get information about a less talked about but very important part of our history and how it affected people during that time, those in the military as well as those fighting for their rights here at home. Countdown is a hard story to classify. It's historical fiction, to be sure, but who is the audience? The story was fantastic but coupled with the in-depth history, it might be overwhelming to students. I'll have to re-read it closer to summer's end and find the right audience. For now, 3 copies. ARC supplied by Scholastic Press. Yes, I know it's Monday. I had a lazy weekend. Went to dinner with friends, slept in, went to brunch with the Amazing Dancer, took long naps...yeah, it's been great. 1. E-Readers - we have this grant to buy ereaders and part of the request was that teachers could use them over summer to see how they could be used in their classrooms. This is taking way more time than I wanted. 3. Flip Flops - between my daughter and I, we have at least 20 pairs of flip flops. We love them and buy them in all colors. Problem? I might be getting a little old to be wearing flip flops. But, dang, they are comfy! 4. The Way of Kings by Brandon Sanderson - I LOVED Warbreaker last year and when I heard about this one coming out, I squealed. Really. The awesome Ben Rubinstein at Macmillan Library sent me an ARC. I just devised a reading plan because this thing is HUGE, over 1000 pages! 5. Avatar: The Last Airbender - I just finished watching Season 3 on Neflix and then I just started over again! Love the shows comedy drama mix. The characters are so sassy. And, of course, you learn something about using your gifts, working together, harmony, friendship, perseverance. Great show! Looking forward to the movie. The awesome Ben Rubinstein, from Macmillan Library, has supplied me with some great summer reading material! Last year I devoured Warbreaker by Brandon Sanderson and it was all kinds of amazing. The Way of Kings is promising to be just as good. But this sucker is huge! It's over 1,000 pages long with dense print. So I devised a reading plan so I can finish by it’s August release date. I’ll post the results on Saturdays, starting June 19, 2010. I’m calling these updates, Thoughts on The Way. Look for them! The page gaps are picture and from 1002 – 1008 is a Glossary. I’ll read that throughout. If you’ve got an ARC, read with me. I know Ben will be handing out ARCs at The ALA (American Library Association) Annual in DC so make sure you stop by! "None of us ever really stop to consider that the worst can actually happen to us..."
Tilly Farmer has the best job and a great husband. She gets to go to prom each year. She can make it everything she wants and re-live those memories over and over. Her husband is exactly like he was when they fell in love at seventeen. All she needs now is a baby and her life will be complete. Or so she thinks. In The One That I Want by Allison Winn Scotch, Tilly Farmer's eyes are starting to open to the world around her. Stepping into a dark tent and having her palm read by a girl she used to call her best friend gives her something she NEVER wanted. Now, Tilly can hold a photograph she's taken and she's dropped into a glimpse of that person's life in the future. Problems? She can't tell when the event will happen or change it nor can she see her own life. In the beginning she can't control when she will drop into the visions or how long she'll be there. She also doesn't believe they'll come true. Until they do. She hunts down Ashley to take back her "gift" but it's too late. Tilly has to figure out what to do with this information she doesn't want because what she sees is not what she wants to believe is happening. She has worked too hard for this life of happiness and she will not allow anything to disrupt it. But, you can't stop fate. Or can you? "...I might have felt broken, but at the end of it all, I didn't allow myself to break." The One That I Want started out slowly but, like Tilly's understanding of clarity, it picked up and zoomed. I loved the character Eli and wish there was something with him and Tilly. I stayed up reading this, not wanting to stop even with the threat of an early morning. A fast read with just enough mystery and humor to keep you entertained. 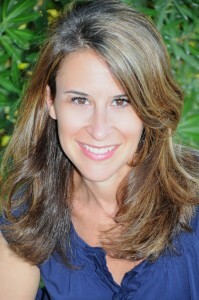 Allison Winn Scotch is the bestselling author of Time of My Life and The Department of Lost and Found. Prior to her fiction, she was a frequent contributor to numerous magazines and websites including Cooking Light, Family Circle, Fitness, Glamour, and Redbook, and now focuses on celebrity profiles for a variety of magazines. Allison lives in New York with her husband and their son and daughter. Connect with Allison – on her website, on her blog, on Twitter, and on Facebook. The publisher has generously agreed to give away a copy of The One That I Want by Allison Winn Scotch! The giveaway is limited to US/Canada. Ends Thursday, June 24, 2010 at 11:59 pm. Please complete the form to enter! Thank you to the publisher and TLC Book Tours for the finished HC. Dandelion Fire by ND Wilson -45 pgs. Harry Potter and the Goblet of Fire by JK Rowling - ~254 pgs. Countdown by Deborah Wiles- 122 pgs. Dreamland by Sarah Dessen- 75 pgs. Total Time: 18? Cant find notebook! At last count, I had done 11 hours. Since then I finished two books and read some pages in Countdown, Dreamland, and Harry Potter. That took me at least 7 more hours. Possibly more. I was logging time in a notebook that I believe I lost in the grocery store. I will go check on Tuesday and update this then. I will put the official numbers in green. Sisters Rosie and Scarlett March are crime-fighters. Not because they've always wanted to be but because they were forced into it. The March sisters are out to save women from the big, bad wolves who would like to prey on them. These wolves look human. They are usually super handsome and rich. They love finding women walking alone so that's one of the ways the sisters try to lure them. The March girls wear red capes and carry hatchets and other weapons. They pretend to be helpless and lost. They will do almost anything to get the men somewhere alone. But that's not how it's always been for the girls and Rosie wishes she could do something different with her life but she owes Scarlett. I loved the idea that Little Red Riding Hood was still around and kicking the wolves butts. Scarlett felt that since she knew the secret identities her knowledge came with great responsibility. I also liked Silas, the girls' best friend, being a woodcutter. Good play on a classic fairy tale. I had a hard time picturing the girls wearing capes in modern day society though. Funnily enough I could buy them carrying knives easily. I also felt that having Scarlett consumed by the hunt so much that she couldn't love anyone was sad. I wanted her to be a mean, lean fighting machine and have a handsome, strong guy in her life. Another issue I had with the story was the predictable-ness of it. Halfway through the book I was able to determine what was going to happen. It was not enough to turn me off the book though, I wanted to make sure my predictions came true. There was one part of the story where Rosie had to make an escape that I found implausible. I read a lot of science fiction/fantasy so my disbelief is easily suspended but this was just not something I could see happening. All in all, the book was likable. I could see a couple of students who would actually enjoy it more than I did so I give it 3 copies. Every year I re-read the Harry Potter series in anticipation of the movie. This year I decided I would get the adult editions from Bloomsbury UK and see if they are any different. With the exception of a few words and a variant in spelling, so far the books are the same. I mostly expected this one to be different because it marks the beginning of all the darkness and the first death. I'm just a little over half done - they've finished the first task in the TriWizard Tournament and we've had the Yule Ball. We'll see if things change once we get to the maze. Harry Potter and the Goblet of Fire by JK Rowling - 173 pgs. Total Time: 11 hr. 10 min. Reading: 9 hr. 30 min. Blogging: 1 hr. 40 min. I'm going to go and say hi to some people and then starting Countdown by Deborah Wiles. Melody has cerebral palsy and is stuck in a wheelchair. Outside of her family and her neighbor, Mrs. V., know one believes Melody is "normal", that she can think and understand just like any other eleven-year-old. So, on top of trying to find her place in 5th grade, Melody also has to deal with frustration at people's misconceptions and misunderstandings. Many teachers treat her like an imbecile and all the children with different abilities are dumped in a room with an ever changing roster of adults, each of whom feels they know better than the one before. "Wouldn't it be cool if I had somebody to write words over my head so people would know what I'm thinking?" Melody gets something similar and her life is changed. She's still not like the other students but she can participate though after so many silent years, it's hard for people to change their thinking. Some people come around but still, Melody wishes, for once, she could be like the other kids. Out of My Mind captures how students at this age feel; whether or not they have cerebral palsy. Students aren't sure where, or if, they fit in. Sometimes they feel so bad about themselves, they want to make fun of other students. They make jokes, they whisper, they giggle, and all the while, they wonder: am I good enough? Do I look right? Will you be my friend? Am I normal? Melody's first words to her family made me cry. We have our voices, we should use them. I can't say how well Draper captured a student with cerebral palsy. I know she has a daughter that Melody is modeled after. I love that she didn't make her a character to feel sorry for but one to root for and support. The story moved at a smooth pace with just a little bit of drag on some of the quiz points. I liked that Melody wasn't a know it all either. I give this 4 copies. I think it's one that many teachers should read, at a bare minimum the ones that work with special needs students. The book gave me a greater appreciation for the students and the staff. Total Time: 8 hr. 45 min. Reading: 7 hr. 15 min. Blogging: 1 hr. 30 min. Hmm, 18 more hours to go. Need to take a break and start some chores. Be back later. This story reminded me of Heartsinger by Karlign Stoffels. It was more of a folk tale than a contemporary novel. Green's family was in the city the day the Horde decided they needed to bring everyone back to the good old days; women in the kitchen, progress denied. She lost her mom, her dad, and her sister. It's about a year later and she is starting to recover, still grieving but able to function. She's also starting to wonder about the boy she once loved. She's decided she wants to write down everyone's story, mainly because the Horde burned all the books and also she need's answers to why she is still here, alone. She sets out to find The Enchanted, those believed to be witches. Each imparts wisdom and an item that helps Green explain things to herself. Green Witch is short and engaging. I loved the simplicity and beauty of the language. "Can I find anything, or simply lose more?" Green Witch is a story about looking deeply into yourself and those around you to find what you need. You must take what you need. You must give what is needed. "This is how much love weighs...Nothing if you don't take it when it's offered. Everything if you accept what's given to you." I give this 2 copies. It was good but I don't know if I students will enjoy it as much as myself and teachers. Total Time: 5 hrs. 15 min. Delphine and her sisters, Vonetta and Fern, are on their way to Oakland, CA to visit their mother who they haven't seen in 6 years. "Cecil Johnson--mammal, birth giver, alive, an abandoner - our mother. Statement of fact." Delphine, the eldest at eleven, had always taken care of her sisters and she didn't really know how to do anything else. She wasn't sure she wanted to spend 28 days with this woman. Cecil, AKA Nzila, did not want children. Then or now. She warned the girls to stay out of her way. They were sent to Black Panther meetings in the morning, to get breakfast. "We didn't come for a revolution. We came for breakfast." But they met people who would quickly become friends and they learned more about their relationships with each other as well as with the woman who gave them birth and then left over a name. One Crazy Summer was not about the Black Panthers but about family and what it means. How family comes in forms we are not always ready for. How sometimes it just might be necessary to take care of yourself first. Or not. There were times when I felt Delphine's voice was too grown-up but when I thought about her years of taking care of her younger sisters, of sitting around with Big Ma watching the news, of pretty much raising herself, I understood that she would say those things and act that way. Her eleven year-old inner self was in a battle with her forced to be older behavior. I give this one 4 copies. Pick it up. I'm still reading and liking this one. Not sure if it will fly with middle-graders though. The writing is fresh and funny and I can relate as I grew up around this time period. So different from Jumped. I'm 4 hours late! Busy day buying Nooks for the school library. This sets my goal to 26 hours this year! I'm going to start off with One Crazy Summer. Most of my stack is realistic fiction so I'd better include some fantasy or I wont make it. I'll see you at 10pm or when I finish the book. Whichever comes first! Last year I participated in the 48 Hour Book Challenge hosted by MotherReader and I'm happy to do it again this year!! I will be starting on Friday, June 4th at 4pm and reading till Sunday at 4pm. During that time, I'll tackle some yard work, do some laundry, exercise, hang with the Amazing Dancer, etc, etc, etc. Since this isn't about the number of books but the hours spent reading, my goal is to read 30 hours. Last year I did 22 1/2. I originally planned to do 36 hours but...trying to get closer to realistic this year! I'll pull from the list at left and aim for short reviews after each book. I'll see you tomorrow! What book should I start with? Check the list at left and I'll start with the book with the most votes! Read one book a day for every day of your summer vacation. In the classroom, Ms. Miller has challenged her students to read at least five books over the summer. She explained the “summer slide” and what her plans were to avoid it. She then reminded students of their powerful position: they get to decide what they will read. Students then chose five books they plan to read over summer. Read The Book Whisperer blog for more information. Donalyn tries to read at least one book per day of her summer vacation. And she’s asked us to join her. I’ve decided to accept her invitation and hope you will too! My summer vacation starts Friday, June 4 and runs to Wednesday, August 11. That’s 67 days, so my challenge would be to average at least 67 books. Yes, average, so if I read 3 books one day but none the next, no big deal. And since we all have varying vacation days, the average will be different for each of us. What I love is the opportunity to practice what I preach. If I want students to read over summer, I should too. I made a list of at least 60 books I want to tackle, most of them Young Adult/Middle Grade reads but I threw in some classics, adult books, and some professional reading. 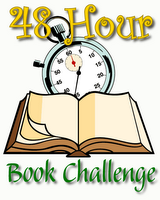 And, to give myself a jump start, I’ll be joining MotherReader’s Fifth Annual 48 Hour Book Challenge. This starts Friday June 4th at 7am and lasts until 7am Monday, June 7th. Just pick your 48 hours! So, what do you say? Will you set an example and stop the summer slide and average a book day during your summer vacation? Join us! Look for my list by Friday!